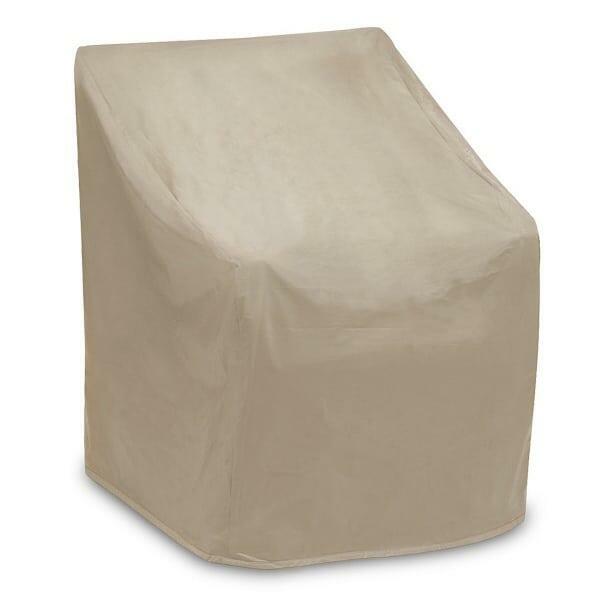 The PCI Chair Cover suits an outdoor chair that fits with the dimensions of 29’’ W x 35’’ D x 35’’ H. PCI covers are made to keep furniture as snug as a bug throughout storage seasons, whether its overnight or for a whole winter. The Chair Cover fits only one chair and protects it against the outside elements, whether natural or unnatural. The Chair Cover aims to keep the protected chair safe against natural elements like UV rays, wind, and moisture, as well as unnatural elements like climbing cats, playing kids, or scratches from leaning objects. PCI employs a two-layered combination of vinyl and polypropylene to keep furniture cozy and pristine. The fronting material is vinyl, which protects against the natural elements like sunshine, wind and rain. The inner protection is polypropylene that has been compressed and then laminated against the strong vinyl. This combination keeps furniture safer for longer.